These characters are designed to suit environments with 16x16 pixel tiles. Over 300 unique frames altogether! With these assets I want to recreate the magical feeling I had while playing the classic SRPGs of old. If you're interested in hearing about updates/additions to these and other game assets, check out my twitter or tumblr. what is the size of the characters? 16x16 pixels mainly. The larger characters (orc, troll) stand a bit taller than that. They also extend beyond 16x16 during various animations. Hi there! 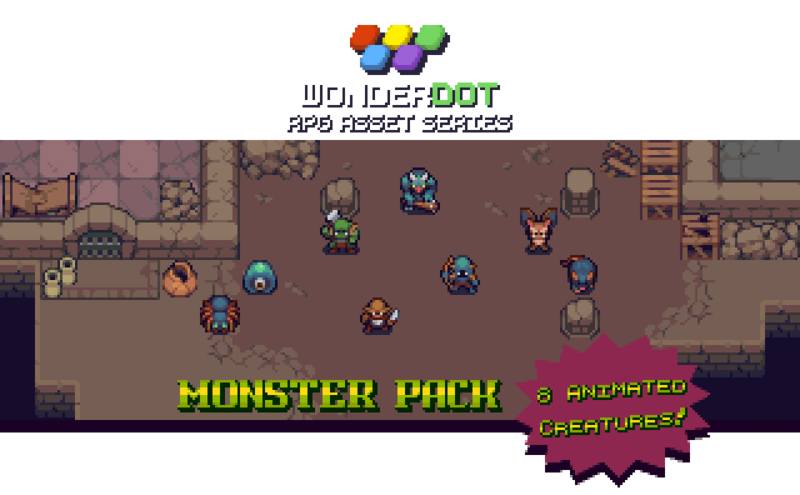 I just bought this awesome pack to use as park of some web game development, but it's just occurred to me I will be hosting code / assets on GitHub, so downloading is only a right click away. I wanted to check whether this is ok or not. If not I totally, totally understand and will avoid doing this, but I thought no harm in checking! Many thanks again for the amazing art! The license doesn't allow you to let users extract and use the assets for other things, so I think there needs to be some kind of attempt to package it. BUT If that's unavoidable because of the nature of your project, I'm ok with it as long as it's clear to the users that they can't use 'em. Just include in the readme (or somewhere noticeable) 'hey these assets aren't free!' and point them in this direction! Thanks Pita! I am not aware of any way to package so its totally not accessible (but I will have a look around), I think what I might do for now is work locally but not publish and have a think over a potential solution. The project is a bit tech-demo-ey so what I might do eventually is add the text to the readme and only use 1 sprite rather than all of them, that would be enough for my purpose and then there is only one available if people decide to be naughty. Or maybe I will remove the sprites for placeholders and get people to add their own if they want to build the project (with a recommend link to your assets ofc!) Many thanks again! Nice demo! Keep it up!